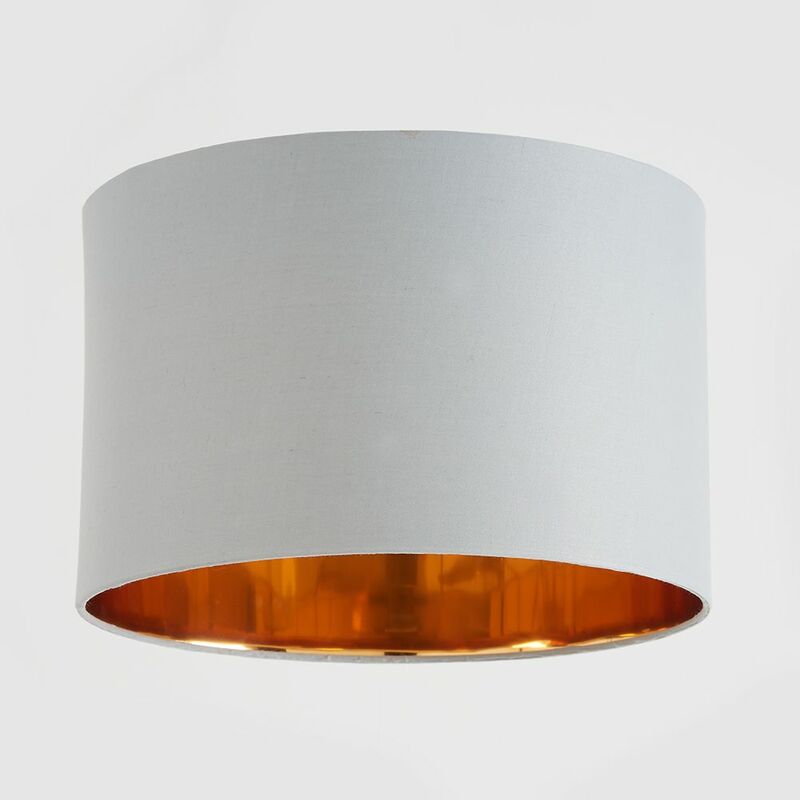 This sophisticated drum lampshade is made by hand using cotton fabric on the outside and a smooth copper PVC on the inside for a soft, warm glow. Its versatility means it can be used with table lamps, floor lamps and ceiling pendants. Takes anything up to a 60W bulb or low energy equivalent. 36cm dia x 23cm high.